Local Churches under the Zimbabwe Council of Churches (ZCC) banner said they are ready to assist the MDC Alliance , through ‘other platforms’, should the opposition movement fail to get a satisfying judgment in its vote rigging case against the Zimbabwe Electoral Commission (ZEC). In a statement released recently, ZCC urged the MDC Alliance to address its dissatisfaction through the courts of law with the aim of seeking just redress. “To the Leaders of the MDC Alliance, we acknowledge your frustrations and dissatisfaction regarding the electoral environment in Zimbabwe. “We pray that you may address your dissatisfaction through the courts of law with the aim of seeking just redress. 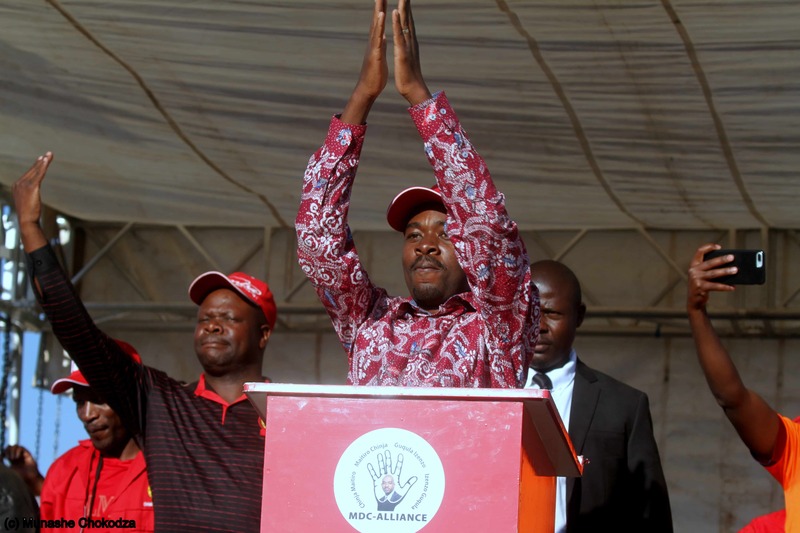 “In case the MDC Alliance does not trust to get a fair hearing in the courts, the church leadership makes itself available to facilitate other platforms of engagement as to bring mutually satisfactory closure to the current situation,” they said. The MDC Alliance is yet to file an application to the Constitutional Court where it alleged that ZEC rigged the 30 July presidential election in favor of Emmerson Mnangagwa and Zanu-PF. ZEC chairperson,Justice Priscilla Chigumba last week duly declared Mnangagwa as having won with 50.8% against Alliance’s Nelson Chamisa’s 44.9%. However, the MDC Alliance alleges to have unearthed serious vote rigging and they claim to be in possession of “overwhelming evidence”to back their claim. The leading opposition has since hired international constitutional lawyers to help Chamisa with his Constitutional Court appeal case. Meanwhile, the ZCC has pleaded with the MDC Alliance leadership to maintain peace and not take actions that may easily deteriorate the already volatile political situation, when addressing their dissatisfaction. “We also plead with the MDC Alliance leadership to bear in mind the pressing need to maintain peace and not take actions that may easily deteriorate to chaos. Volatile situations tend to deteriorate and attain a life of their own beyond anyone’s control. “National peace is a mutually responsible endeavor that requires you to play your part towards its full attainment,” reads the report. ZCC also called on ZANU PF to consider and prioritize a formal constitutional recognition for the leader of the main opposition consistent with practices in other developed democracies. “To the leaders of ZANU PF,we ask you to create avenues for inclusive dialogue and engagement as well as to heed the complaints raised by the MDC Alliance. “The nation needs you to commit to a nation building dialogue process aimed at uniting the nation and creating an inclusive way forward. “We ask you to consider and prioritize a formal constitutional recognition for the leader of the main opposition consistent with practices in other developed democracies,”they said.